The coin is the result of an interesting approach to balancing the budget of the United States. The U.S. is known for having strategic reserves of most imaginable commodities. In 1984, President Ronald Reagan became aware of the surplus in the military silver reserves. Silver is not only a fantastic investment metal, but it is also an important manufacturing component, especially in particular military-grade communications equipment. Facing a ballooning deficit, Reagan thought he might be able to save the economy by selling off the surplus silver in the form of coins. After significant debate about the move potentially deflating the price of silver, the Liberty Coin Act was passed, and the minting of the American Silver Eagle began in 1986. 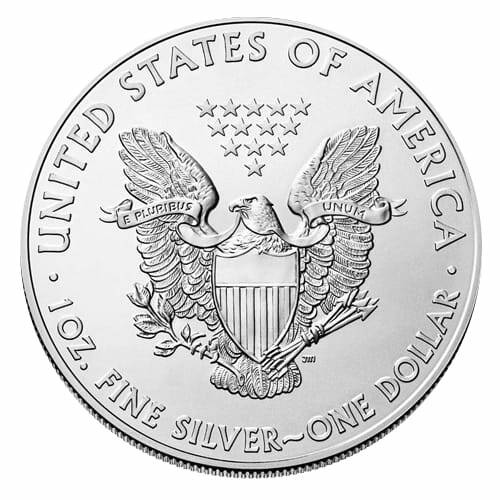 The American Silver Eagle has a face value of one dollar, but a market value that is close to the spot price of silver on any given day. Even though silver was last used as a currency in the U.S. decades ago, it could be said that the American Silver Eagle was and is a trade coin, struck for large denomination international transactions and private retirement accounts. The limited-edition version of this bullion coin, the American Silver Eagle proof coin, can also be purchased for physical possession or to put into a Precious Metals IRA. 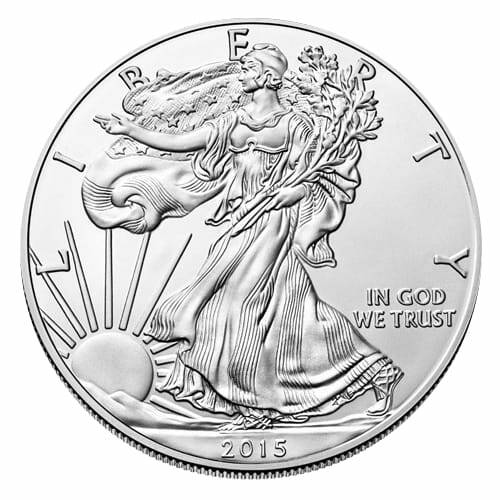 To learn more about American Silver Eagle (bullion) coins and to get current pricing, please call us at (800)355-2116.